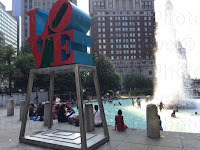 If you're only in the Philly area for a day, here are some of the highlights to get you introduced to the historic City of Brotherly Love. 1. 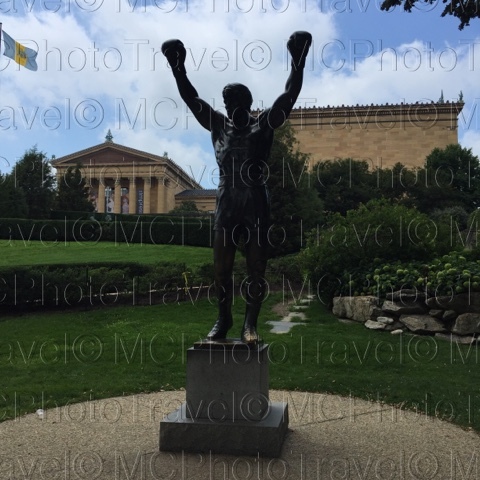 Do the fun thing: visit the Rocky statue at the foot of the Philadelphia Art Museum steps (2600 Benjamin Franklin Parkway). It's no longer at the top of the steps to prevent you from re-enacting the movie. 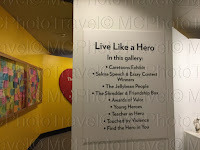 Also, in that area are some the USA's greatest museums including the biggest collection of Rodin's works outside of Paris and the famous children's Please Touch museum. It's a great bike riding area also. By the way, Rocky is also at the Visitor Center. 2. 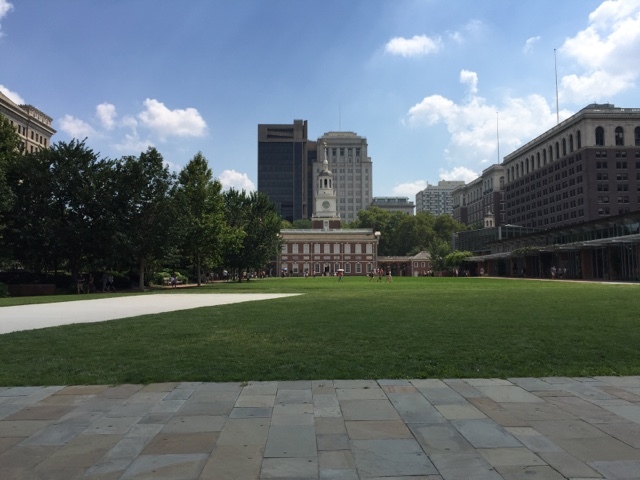 Test your knowledge at the National Constitutional Center (525 Arch St.) Cool inside in every way: interactive exhibits and great for the hot summer Philly days. The U.S. Mint is across the street, another great tour. 3. Walk down Arch Street. Along the way you'll see the Christ Church Burial Ground where you can glimpse Ben Franklin's grave right on the corner (or you can pay a couple of bucks to go in). You'll also pass the Arch Street Meeting House (remember, you're in the land of Quakers). Near there is Congregation Mikveh Israel, the oldest Jewish congregation, seemingly a contradiction in terms in a beautiful, modern building. 4. At Betsy Ross' house (where you can decide for yourself whether she sewed the first American flag or not), you'll take a self-guided tour, with or without audio, of an extremely tiny house. 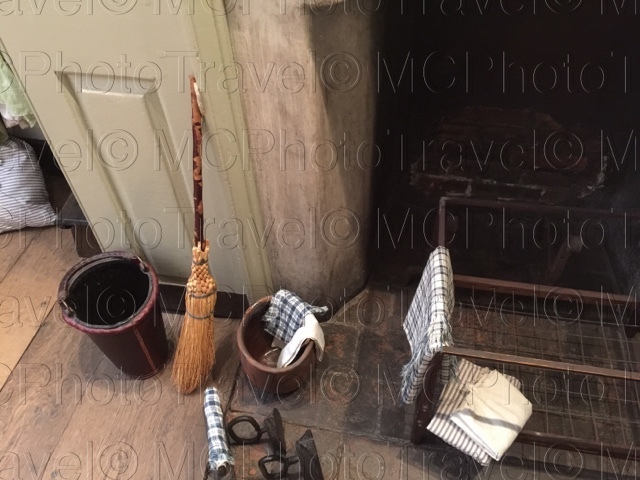 The items are either authentic of the era or good replicas. 239 Arch St.
5. Head down N. 4th Street to Market Street toward Franklin Court (part of Independence National Park), an interesting group of buildings and remains of buildings. 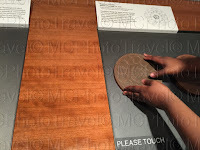 The Post Office is real, the Printing Shop will give you a demo of house items were printed back then and you can see where Ben's house was. A surprisingly interesting aspect: one building is actually gutted out to show the architectural and archeological aspects of the building, a good site for architects and historians. These attractions are free but the must see Benjamin Franklin Museum has a small fee. 7. Walk across the street to see Carpenters Hall and then head back to the Independence Mall area. 8. The Liberty Bell Center may have a long line. Go early or toward closing time. You will have to pass through security. 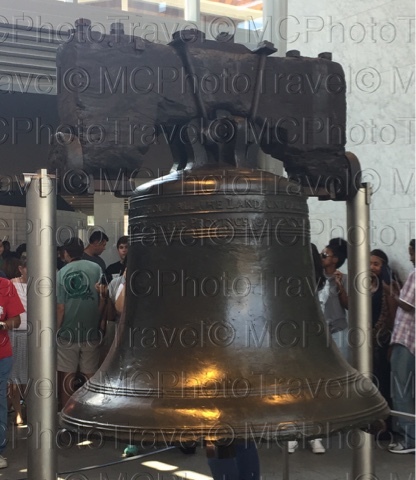 There is a series of exhibits before you see the bell itself. It's the real bell, the one in the belfry of Independence Hall is a replica. 9. You have to get tickets at the Independence Visitor Center for Independence Hall. You will see the real room of the Continental Congress (Carpenters Hall, location of the First Continental Congress is down the street). You'll have to go through security. In the evening, you don't need tickets but the line is L-O-N-G. Plan this if you really want to see it. 10. From Independence Hall, walk down to 419 S. 6th to see Mother Bethel AME Church, the oldest African American congregation. 11. Have lunch at the Reading Terminal Market (note that some booths may be closed on Sundays). 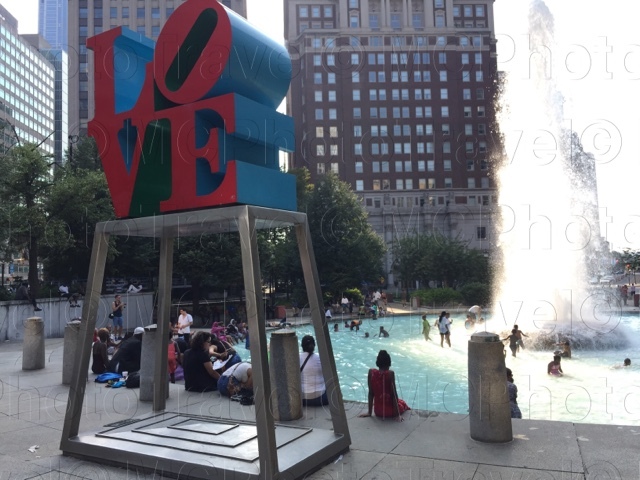 Then, see some of the outdoor sculptures: the L-O-V-E sculpture at JFK Plaza, near City Hall. and the famous sculptures of board game pieces, across the street. 12. Snack on Philly's famous cheesesteaks from Dalessandro's, (600 Wendover St.) a local eatery but not a well kept secret. Grab the menu first, they don't seem to be too patient for first timers. 13. If you're driving, you'll want to pass by Penn's Landing and other areas.